It’s estimated that there are 4.5 billion webpages. If you started reading now and continued for 24 hours a day, it would take 15,556 years to read all the current webpages (an average of 500 words per page and a reading speed of 275 words per minute). And by the time you have finished reading, in 15,556 years, can you imagine how many more pages there will be? Now, in 2018, we really are in a state of overwhelm and saturation. Granted, many of the 4.5 billion webpages will be spam or illegible, but we are still knee-deep in a high standard of content as brands have gone into overdrive capitalizing on every long-tail keyword that they can and dominating those search results. I have always considered the web to be like the High Street (or Main Street for my U.S. friends). It started out with lots of independent shops (websites) and then the large brands arrived with their deep pockets, captured customer attention, and drove out the small business. Savvy small businesses do survive and they do this by creating emerging trends and by being niche. Large brands survive by watching the independents and taking over established trends near the top of the bell curve to dominate and eventually saturate. Independents take the risk, brands rinse it out. 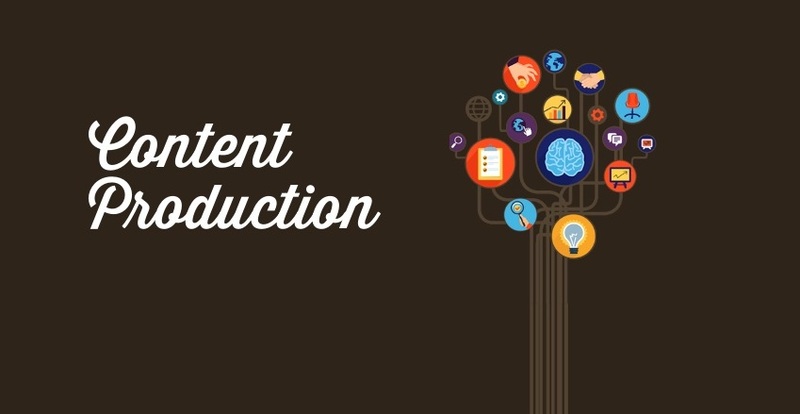 When content production is saturated, what can you do to still gain returns on your content investment? In December 2017, there were more than 40,000 articles being published every week about bitcoin. That’s a lot of content to compete with and overwhelming for any reader interested in bitcoin. Unless you’re already an authority in cryptocurrency your bitcoin article is probably going to drown in that sea of content. And why would you be writing about bitcoin if you aren’t an expert on the subject or operating within that niche? As a trend grows and then matures it quickly become saturated in content production. You should jump off such a trend well before that happens. Part of the skill of content marketing is looking for emerging trends that you can capitalize on, but only if you have a relevancy to that topic. A combination of reading industry news, Google Trends, and Google Alerts, as well as scanning social media, is the only way to spot trends. It’s an investment of time but if you are managing content for a brand then that’s part of your role. Feedly is an essential tool that helps me monitor hundreds of sources. Your other opportunity is to go niche with broader terms and look for long-tail keywords or niche segments. For example, take a broad term such as AI. …and, more of: An article about the impact that artificial intelligence is having on the legal world and comments and interviews from leading legal professors about how “law tech” might shape the future of law colleges. The challenge of marketing is getting seen by a relevant audience and my process has always been to think about the end result first and consider where you can find readership for what you write before you even begin. For content marketing, focusing on how you will promote your content to get exposure is the most essential part of the strategy – readership doesn’t happen by accident. Over the last few years, Facebook has made a concerted effort to remove publisher traffic from feeds and especially targeted the clickbait headline. As a result, social media referral traffic has seen a 50 percentreduction since 2015. Therefore, use social as a tool for engagement but reduce your investment into relying on organic social referral – although, paid social remains part of your promotion strategy. Private sharing is on the rise. Private messaging is more popular than public social media. This enforces the need to build relationships with people who have their own audience and can get exposure for you. Invest in establishing your peer network and looking for strategic partnerships that can help you get access to their audience. HubSpot found that 52 percent of content is found through Google and search so focus on finding long-tail opportunities where you can dominate results. As above, sharpen your technical and keyword research skills. Even in uncertainty over the impact of GDPR on unsolicited emails, digital PR and outreach done right will deliver results to build readership and should be a fundamental part of your content strategy. However, don’t just look for link opportunities – search for people that will have a genuine interest in your product/service and by extension your content. Outreach is about relevancy of audience with high engagement and not a blanket email approach of high volume and low conversion. The most reliable channel for gaining exposure for your content efforts is one that you control directly: email. I have long been an advocate of email newsletters and have produced my own for many years. I also love independent businesses such as Hiut Denim that use email communication beautifully to build their brand. You have to build that list before you have that direct relationship. And the only way to build that list is… by being found. For a small independent with limited budget, building a list takes time. But there are a few ways that you can jump-start this with a little hustle, such as leveraging other newsletters that can get you exposure for your content. Paid strategic partnerships with established email lists are an area to focus budget. Using content asset downloads with email capture is the classic technique that works with exposure on other lists, paid adverts, and outreach. Look to niche platforms that have a smaller market share but an engaged audience. 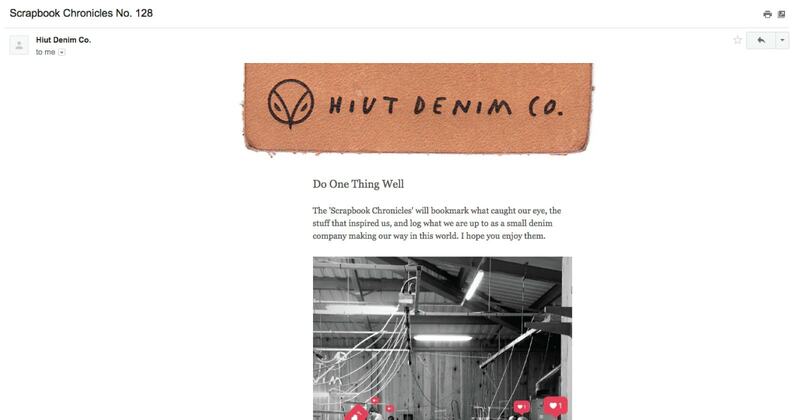 Hiut denim leveraged Medium to help build their newsletter list to great effect. Returning to the high street and the deep pockets of brands, the result of this has raised the bar of content production and entry. Once upon a time, in an offline world, content production was expensive and therefore had more control on quality and because of the high barrier to entry content in print has always been trusted as a source. Then came WordPress and Blogger and anyone and everyone could be a publisher which attributed to the deluge that we are now reeling from. I’m happy to see a return to good quality output and a full circle to a journalist standard (think FT and New York Times). Reduce your output and content schedule to increase resource per piece and ask yourself: would this be worthy of being included in a printed book or a broadsheet newspaper? Content marketing is customer focused and never prescriptive so you should only be producing content that your audience will find accessible. For example, marketers love SlideShare and webinars; Millennials love Instagram and YouTube. Underlining all the content produced is a key theme and certain types of content obtain the most share and links. 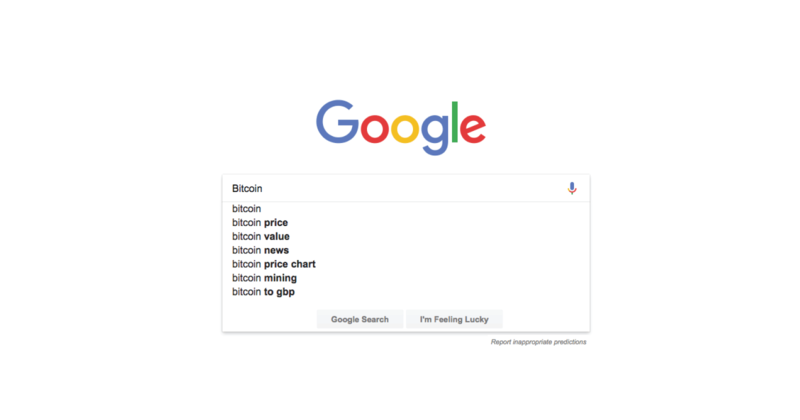 Think back to the original Google algorithm – it was founded on a concept of academic paper citations – that meant that any paper with a certain level of citations had the most value and authority. That premise is applied to content production today. Anything that can be cited by other articles/content as a reference is going to get the most links/shares. Unique data and research that can be referenced. Case studies and industry expert interviews. Unique industry survey with insights. A curation of niche information for your industry. Deep reviews or an overview of a trending topic ahead of the curve.